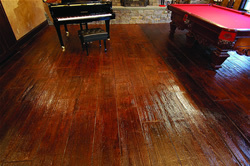 If you are looking for information on the Stampcrete franchise business opportunity, Stampcrete architectural concrete franchises or Stampcrete decorative stamped concrete franchising, then you have come to the right place. The Stampcrete International, Ltd. Distributorship Program is the Greatest Business Opportunity of the 21st Century! This is your chance to establish an exclusive distributorship for a complete line of patented equipment and materials in one of the fastest growing niches in the construction market today! 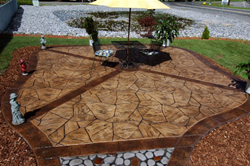 Stampcrete International, Ltd. is the country's most successful company in the manufacturing of architectural and decorative stamped concrete products. With over two decades of experience in the market, Stampcrete has thrived as a leader with unparalleled quality in equipment, materials and structure of marketing assistance. Stampcrete has patents and trademarks throughout the world on stamping tools and equipment, plus the knowledge and know-how of the trade to assure the proper guidance needed. Over 23,700,000 cubic yards of concrete were sold in flatwork in 2002 and 27.5 billion sq. ft. of flat concrete placed in the US during 2003. Less than 5% was placed in the area of colored or decorative concrete which leaves an enormous market for the Stampcrete decorative concrete systems. The ultimate success of the growing industry hinges on creating a consumer driven market throughout America for decorative concrete. The key is the commitment of the Stampcrete team to the development of the network of exclusive distributors with the business experience, the financial capability and the corporate backing needed to properly grow a market within a designated area. Through proper training and marketing guidance, we are confident that our carefully trained and positioned distributors will soon become a dominant force in this multi-billion dollar industry. The Stampcrete Super Store prototype has been incorporated into the plans of some of our new, Exclusive Distributors. Your Stampcrete Super Store would not only carry the products you wholesale for Stampcrete but would also create a One Stop Shop for all your decorative and regular concrete needs. Unlimited Income Potential - Using rough estimates based upon a national average; projected first year net incomes could easily cover the initial investment costs. Adding the second major revenue stream of distribution with fifty percent profit margins would significantly increase profit in general. Autonomy - This business opportunity is designed for the owner/operator investor. Although there are guidelines and a specific marketing plan that should be followed, the entrepreneur has flexibility to run their business in a manner that fits their market demands. Even though we have established the investment opportunity with autonomy in mind for the individual investor, he or she has the support of a multi-million dollar manufacturer. We at Stampcrete have invested a significant amount of capital into the marketing and advertising production costs, which alleviates much of this cost for the individual investor. Challenging Market Perceptions - The individual has the opportunity to challenge the market and offer a superior product line with unlimited potential. 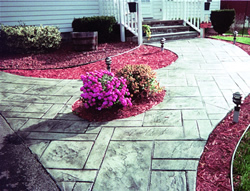 With only 5% of the decorative concrete market being reached, there is tremendous opportunity for growth. A Stampcrete Exclusive Distributor can earn unlimited income and also have the satisfaction of owning and running their own business. It's not often a business opportunity comes along like this don't be left behind! Exclusivity - The individual has the opportunity to have a protected territory. Without worries in losing sales from other distributors and the company. Marketing Package, Corporate Training...and much more!